Welcome to Artist.co.uk - one of the UK�s most comprehensive and award winning online art gallery. We feature an extensive collection of works from over 6,000 represented leading artists and over 35,000 limited prints, photography and sculptures to suit your specific style, genre and budget requirements. 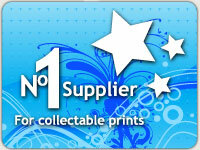 Founded in 2001 artist.co.uk aims to help you search and buy art online. We are committed to making the process of buying art online easier and more pleasurable than ever before. With original paintings and fine art pictures, limited edtion prints and photographs, and sculptures from all leading artists from Doug Hyde to Peter Smith and Caroline Shotton.